We’ve been selling property across Greater Manchester since 2011 and our personal hand on approach has served us very well. We realise just how important presentation is so we work hard to ensure our pictures are professional and enhancing and our advertising script is succinct but informative. As property professionals, we take great care with the valuation process and consider several key aspects before arriving at an accurate valuation. Our aim of course is to sell your property as quickly as possible and for the correct price. We prefer to call the valuation process a property appraisal. We think a correct value can only be arrived at after visiting the property and speaking to the owner to gather as much information as possible about their home, and researching the local area sales history to gather comparable information. As trained sales negotiators we insist on conducting all viewings as this is an element of the sale process of the utmost importance. Viewings are planned around the convenience of both vendor and viewer and not us and we are available 7 days a week. 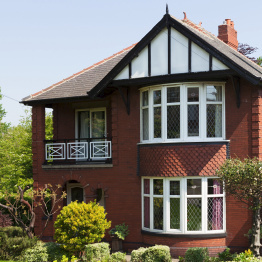 Once we have a sale agreed and conveyance solicitors have been instructed, our aim is to push the process forward to ensure the sale runs smooth and in a timely manner. We communicate with both legal sides on a regular basis and keep both seller and buyer informed throughout the process.